You can find an overview of our agenda of this weekend below – the detailed meeting minutes can be found here. 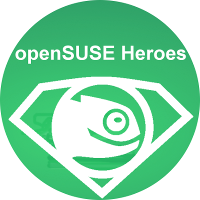 Thanks to Richard Brown and Ludwig Nussel for joining our meeting and answering our questions regarding openSUSE board and project in general and release management of Leap 15. Besides a lot of work and filling up our ToDo list for 2018 – we had some time to visit the restaurants & bars of Nuremberg :). Here are some pictures of our offsite.